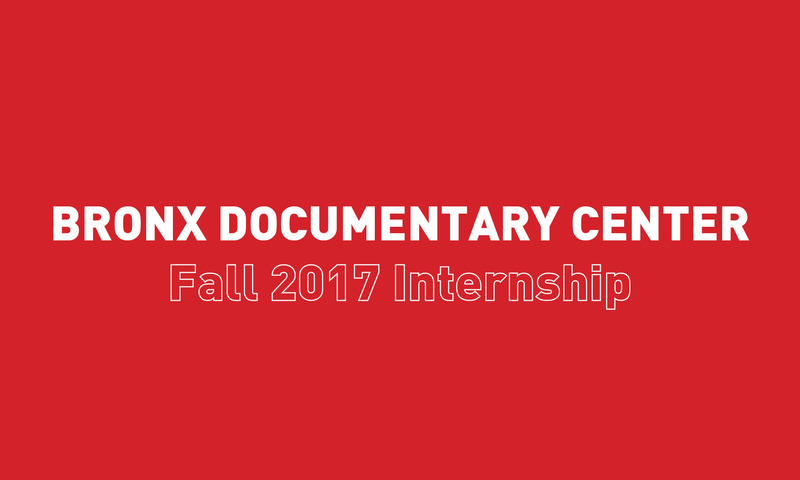 The Bronx Documentary Center (BDC), a 501(c)3 non-profit photo gallery and educational space, is currently seeking 2 qualified interns with a passion for documentary photography and film and desire for social change. Support is needed in preparing exhibitions and screenings, researching community issues, photo editing, and a variety of administrative tasks. Some video shooting and editing may be included. The Bronx Documentary Center was founded in 2011 and is located in the heart of the South Bronx. Our mission is to create conversation around social justice through documentary photography and film with underserved Bronx communities and the cultural community at large. A travel stipend is available for subway and late-night taxi. Interested applicants may contact us at info@bronxdoc.org with a resumé and cover letter. The internship is unpaid. We are looking for someone who can commit 16 hours per week from October through mid-December. Attendance at Saturday evening events is sometimes required.Bronx-based applicants are encouraged to apply.